This comprehensive Diabetic care center is supported by all other allied specialties and paramedical branches. 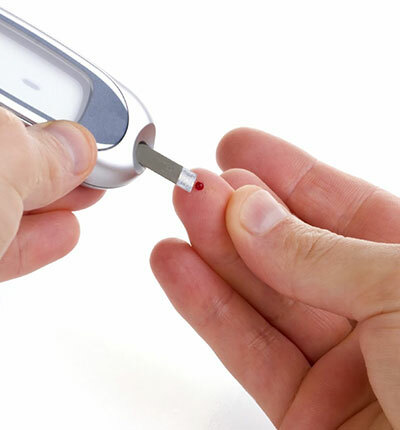 Diabetes being a forerunner of most dreaded disease ,the department takes every step to thoroughly screen and test each patient for the involvement of any system and when detected ,to prevent progression of the disease. Special mention is to be made of juvenile diabetes and gestational diabetes where pregnancy planning and counseling is done .The department is ably supported by other allied specialties like Cardiology, Nephrology, Neurology, Ophthalmology and Vascular surgery departments in addition to the dietetic section and physiotherapy department apart from a very well equipped clinical laboratory and modern ICU for treating serious and complicated patients. Patient education and awareness programmes in foot care, glycemic control, diet control, exercise and the prevention of complications and their control are conducted.Psychiatry : In todayâ€™s stressful world, this department deals with every anxiety, stress and depression apart from other major mental illnesses .There is special de-additction clinic for alcoholics.